Looking for a new mobility and recovery tool? Wondering why you see people wrapping themselves up pre-workout? PhysioRX’s Georgio Baylouny, PT, DPT, OCS, explains how, when and where to use VooDoo Floss. 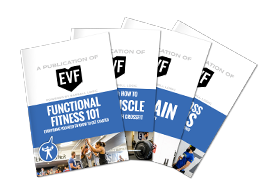 Learn more about Georgio and EVF Recovery here. Questions? Comment below! What is muscle or joint flossing? Popularized by Kelly Starrett and Mobility WOD, “flossing” is a method of wrapping a muscle group or joint tightly, while stretching or performing certain exercises with the goal of improving mobility or decreasing pain. Floss wrap comes in two sizes — 2 and 4 inches wide. The smaller size is good for the arms and lower legs, while the bigger width is probably required to wrap your thigh. 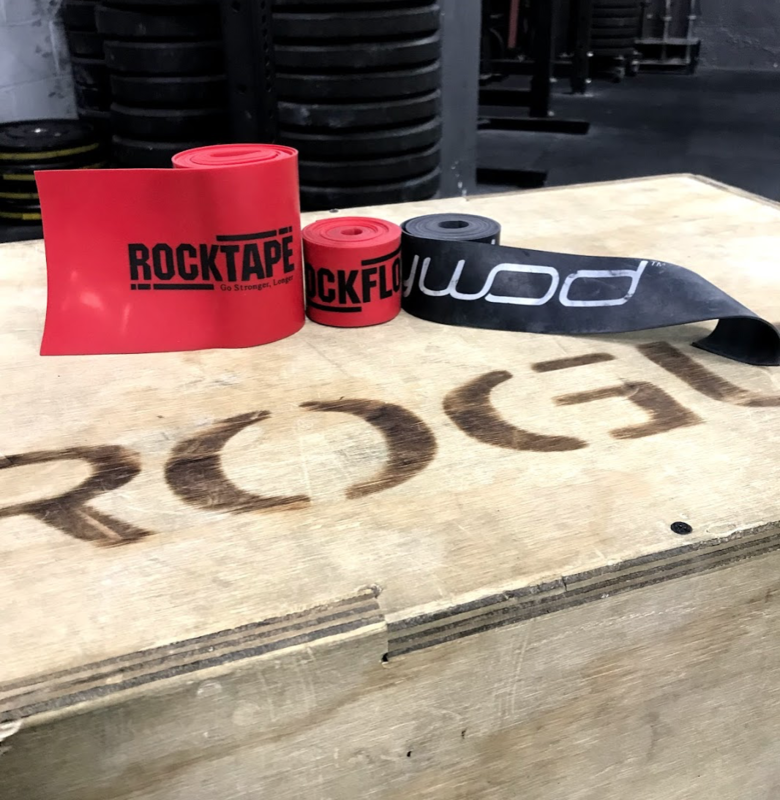 Popular brands include Rogue, Mobility WOD, and RockTape’s RockFloss. Any brand will do. Well, improving mobility of course! But here’s the interesting thing — the medical community isn’t exactly sure how this stuff works. We do know, however, that any sort of mobility tool is creating short term perceptions in increased mobility through manipulating the nervous system. There are some theories as to what the floss is doing, and these include shearing and gliding of the layers of skin and muscle fascia, communicating with the nervous system to bring awareness to a certain area, and improving joint gliding. Some things that Voodoo floss definitely isn’t doing: breaking up scar tissue or re-releasing nutrients to the area. Some well-known CrossFitters and big brands may make these claims, but these simply just aren’t true. Don’t get me wrong, flossing works; we just aren’t entirely sure how. With that being said, Voodoo Floss without a doubt can be a very useful tool in your warmup and recovery routines. VooDoo floss can be a great tool to make short-term improvements in joint mobility and/or muscle flexibility — perfect for your pre-workout warmup. Choose a limitation in mobility (for weightlifting or CrossFit, it’s usually ankle dorsiflexion, hip rotation, or shoulder rotation). Get to class a few minutes early and try one of the techniques in the videos below. See if it makes a difference for you! This is just another tool in the toolbox, so be sure to see if it’s helpful specifically for you. When your joint is wrapped (always at 50 percent tension and 50 percent overlap), move into the restricted range of motion about 20 times or 60 seconds. No need to add 10 minutes on to your warmup or floss your entire body. Move it and move on! Use floss for that post-workout muscle soreness. A little compression can really feel great on your muscles on a recovery day or immediately post-workout. The correct way to use floss here: Wrap the sore muscle or joint with 50 percent tension and 50 percent overlap and keep it on only for 1 to 2 minutes. You don’t want to wrap too tight or keep it on for too long as these bands can cut off circulation. You can mix it in to your recovery routine. Wrap for a 1 or 2 minutes, stretch or move around a bit, then floss again. But people use the Normatec Boots for up to 20 minutes. Why wrap for just 1 minute here? Again, this is very different than other recovery tools. The Normatecs cover the entire leg and provide sequential, intermittent compression. Voodoo bands are narrower, can get very tight, and provide constant pressure, meaning 1 to 2 minutes is plenty. Don’t let your limb get numb or tingly. Remember, there’s a difference between a little post-workout soreness and persistent pain. If the soreness is consistently decreasing your performance or even preventing you from working out, a little floss wrapping won’t fix the underlying problem. Get assessed by your coach or a rehab professional. Is this the same as BFR (Blood Flow Restriction Training)? Not only is this band NOT actually occluding the arteries or veins even close to desired stimulus for hypertrophy, but this is potentially very unsafe. Creating such a tight, narrow tourniquet can damage the nerves and blood vessels in the area. Don’t be that guy! Stick to an FDA approved BFR cuff and learn to right way to do it … for both safety reasons and maximal hypertrophy gains.